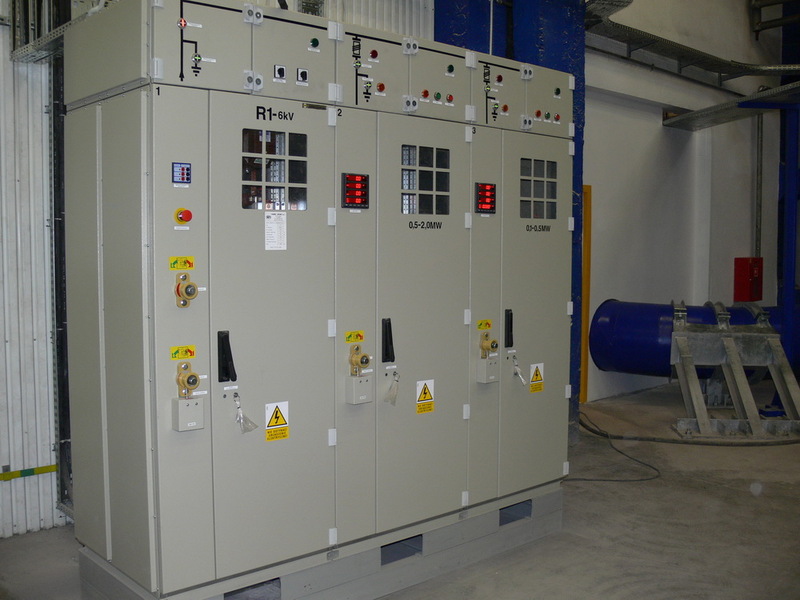 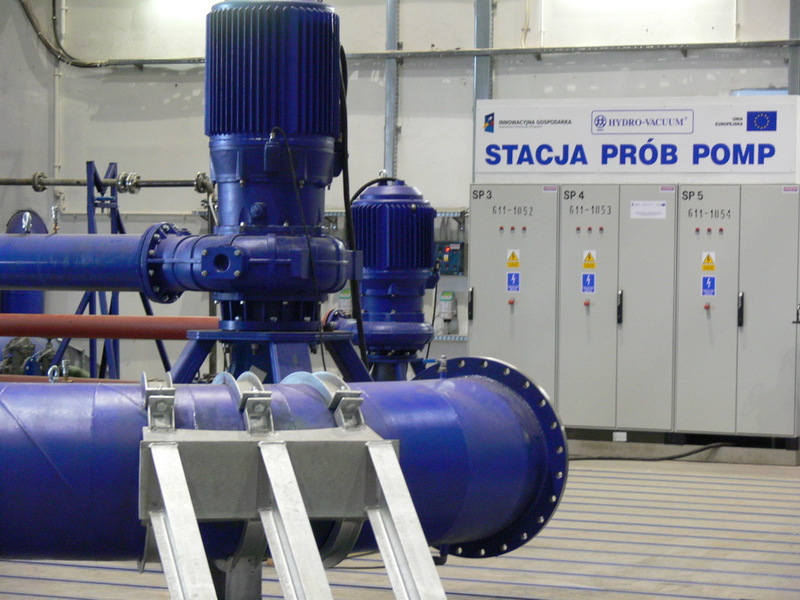 The pump testing station at HYDRO-VACUUM S.A. is the biggest and the best equipped unit of its type in Poland. 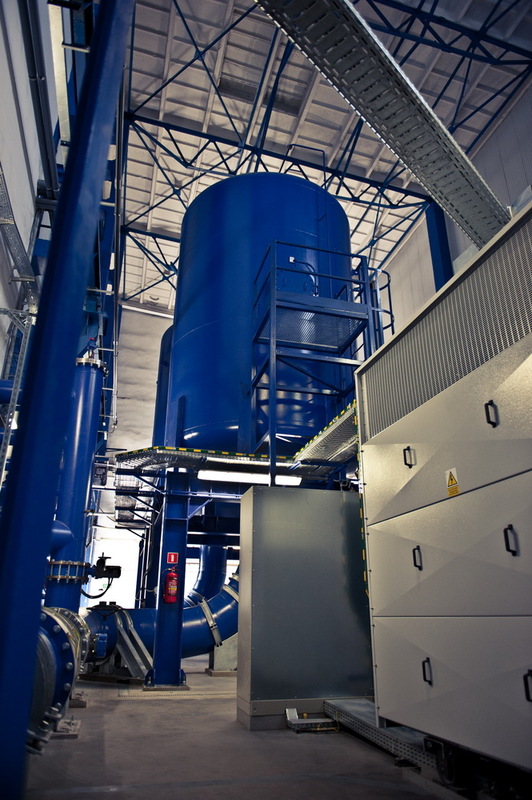 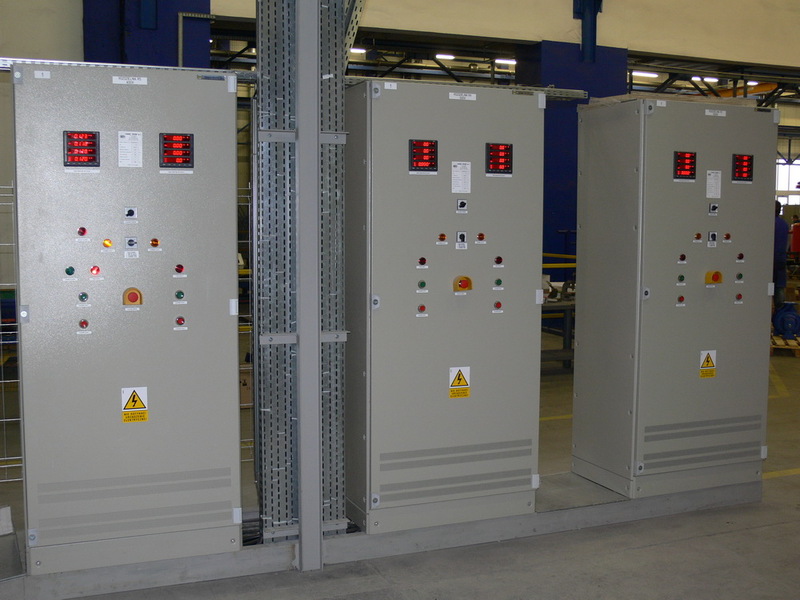 The parameters of this facility allow for testing of pumps of outputs up to 8000 m3/h, lifting elevation up to 1600 m and motor power of up to 2000 KW at 6000 V, 1000 V, 500 V, 400 V.
HYDRO-VACUUM S.A. has an innovative, modern factory, and is a leader in the manufacture of pumps and pumping systems in Poland. 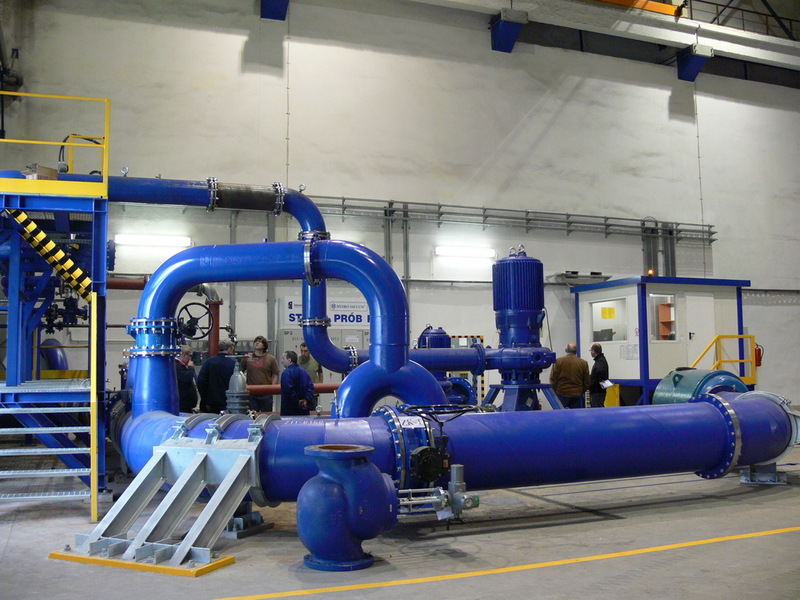 Our research and technological potential allows not only for the development and production of a range of modern pumps, but also for the comprehensive realization of research, repair-research and repair orders. 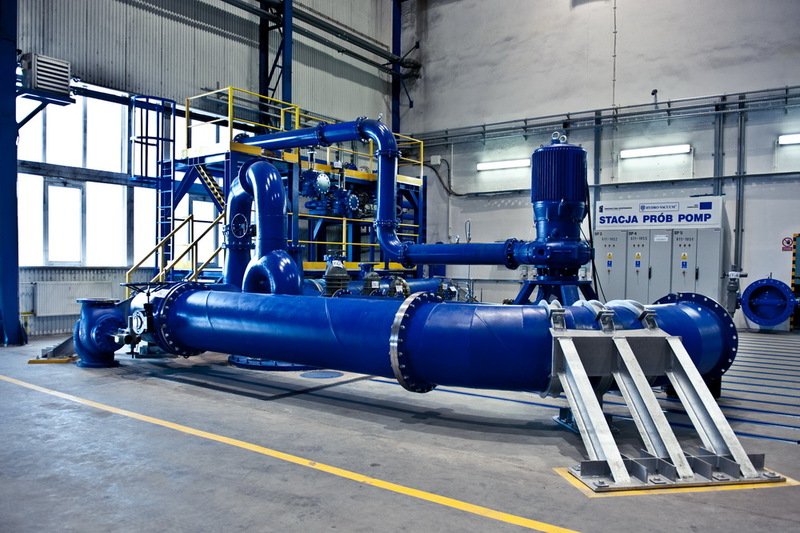 The ANSYS CFX/CFD software for 3D numerical calculations allows for the analysis and optimization of flow channels in the pumps, directed at achieving the highest energy efficiency. 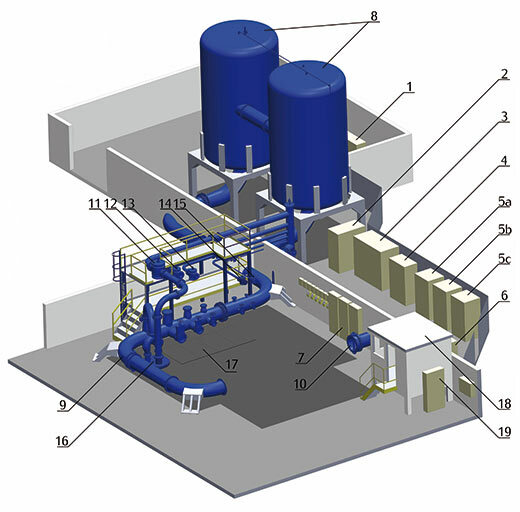 It is possible on the basis of a virtual 3D model to produce a prototype using classical methods of "Rapid Prototyping". 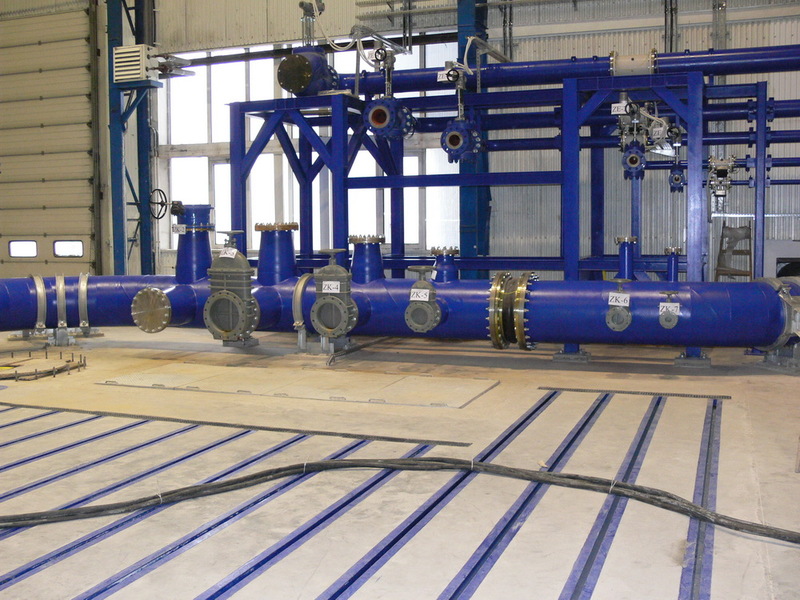 A fully functional prototype is subject to measurement verification at the testing station, where not only the basic energy characteristics of the pumps are determined but also cavitation and thermovisual tests are performed. 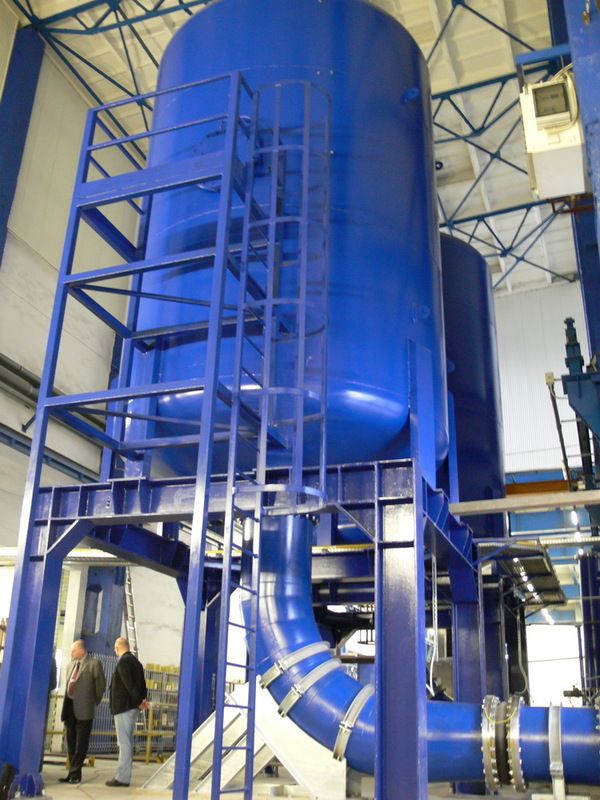 This process means the possibility of quick analysis of any deviations of the examined pumping parameters and the aup toption of corrective actions. 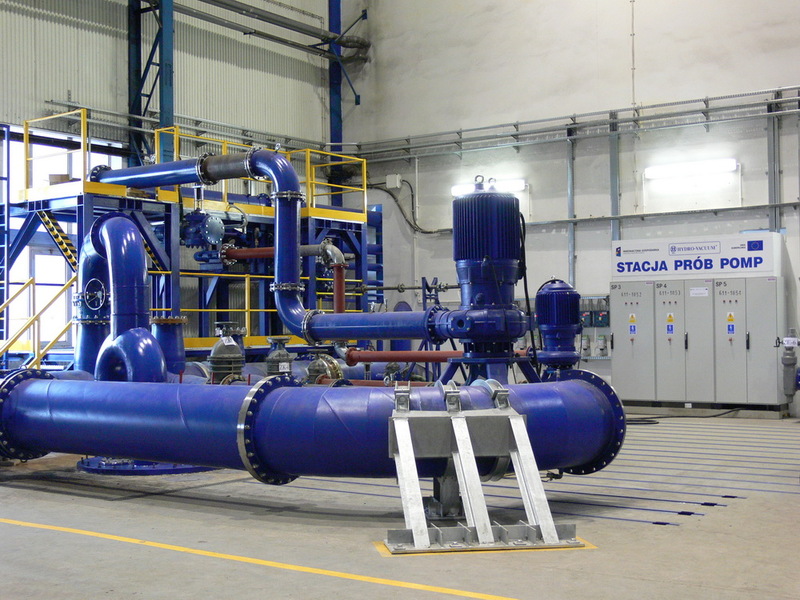 The analysis of the obtained measurements allows for the optimal configuration of the pumping unit, which is important with regard to energy-efficient fluid transport at the users’ facilities. 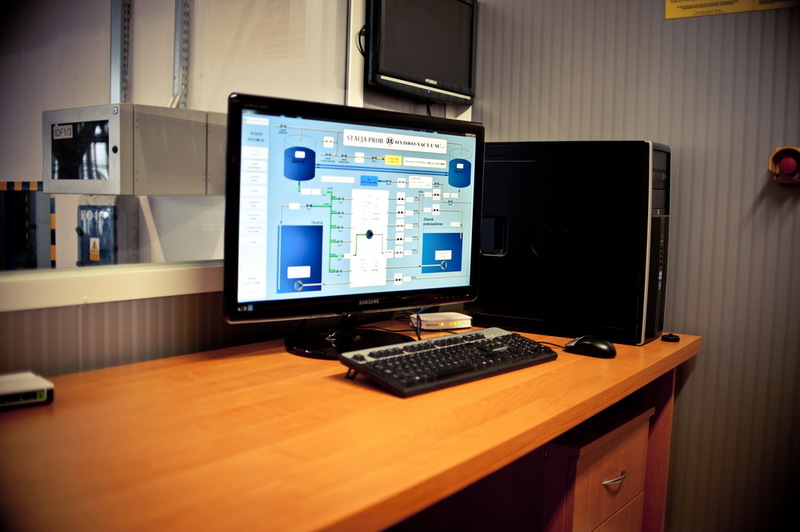 The additional advantage of the combination of the measurement results with CFD numerical analyses is the possibility of diagnosis of the causes of incorrect pump operation in the pumping system and the selection of corrective means, eliminating the influence of an incorrectly designed system or increased failure frequency and low energy efficiency of the installed pumping units.